Leading amateur golfers from across USA and Ireland will converge on Arnold Palmer’s Bay Hill Lodge and Club epic fairways from 22nd to 24th May 2019. Leading amateur golfers from across USA and Ireland will converge on Arnold Palmer’s Bay Hill Lodge and Club epic fairways from 22nd to 24th May 2019 in a competition which will see the best players from both sides of the Atlantic battle it out for one of the most prestigious trophies in amateur golf. Billed as the amateur Ryder Cup, The International Kings Cup Match Play Event is a leading amateur event played in honour of golf’s greatest ambassador – Mr Arnold Palmer. Four provincial qualifiers will be staged across Ireland in a bid to recruit the best Irish team to take on the USA.  The event is structured like the Ryder Cup and was created in 2016 when the United States Golf Challenge, the largest pairs better-ball tournament brought their leading 8 pairs 16 man team across to N.Ireland to compete against Ireland in the first ever International Kings Cup. Each National Team is made up of 2 person teams in two age Divisions with four Flights per Division. The Senior Division is for players 55 years of age and older. The Open Division is for players under 55. A player 55 or older may play in the Open Division. Each Division is made up of four flights based on Team Index. Each flight is as follows. Team Index is determined by totaling the handicap index of player A and player B together and dividing it in half. Example – Player A has a 10 index and player B has a 15 index totaling 25. Divide the total of 25 in half and the team index is 12.5. That team would be in the “B” Flight. No team can have an index differential of more than 8 points between teammates. Example – a player that is a 10 index cannot play with a player that is a 24 index, unless that player drops his index down from a 24 to an 18. Fourball Betterball Strokeplay – Full Handicap Allowance Combining handicap only determines which flight you compete in. Stage 2 Qualifier Fee Applies to anyone who makes the 2nd round National Qualifier at Malone Golf Club £50 per person.